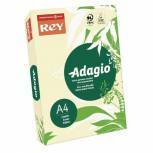 Adagio Pastel Ivory A4 Coloured 160gsm Card (Pack of 250) 201.1204 Pack of 1 A wide colour choice in A4 160gsm tinted card for a range of applications including copier, laser copier, laser printer, laser fax and inkjet printers. Ivory. Adagio Pastel Pink A4 Coloured Card (Pack of 250) 201.1205 Pack of 1 A wide colour choice in A4 160gsm tinted card for a range of applications including copier, laser copier, laser printer, laser fax and inkjet printers. Pink. 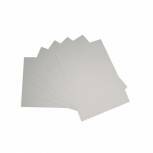 Office A4 Card 205gsm White (Pack of 20) KHR121010 Pack of 1 Economical card for office use. Quality 205gsm card. Pure white surface suitable for a wide range of uses. Ideal for posters and signs. A4. Supplied in a pack of 20. 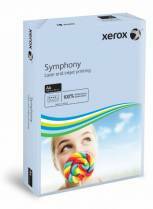 Xerox Colotech+ White A3 160gsm Paper (Pack of 250) 003R98854 Pack of 1 Xerox Colotech+ Paper 3R94657. Quality 160gsm paper for digital colour printing and copying. Using Colotech+, you can be certain of producing pin sharp colour images every time. 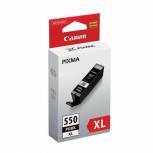 Pack 250 sheets. Size: A3. Colour - White. Adagio Pastel Canary A4 Coloured Card 160gsm (Pack of 250) 201.1202 Pack of 1 A wide colour choice in A4 160gsm tinted card for a range of applications including copier, laser copier, laser printer, laser fax and inkjet printers. Canary. 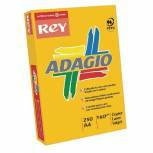 Adagio Intense Yellow A4 Coloured Card 160gsm (Pack of 250) 201.1227 Pack of 1 A wide colour choice in A4 160gsm tinted card for a range of applications including copier, laser copier, laser printer, laser fax and inkjet printers. Yellow. 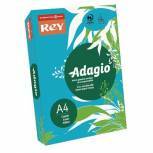 Adagio Intense Orange A4 Coloured Card 160gsm (Pack of 250) 201.1224 Pack of 1 A wide colour choice in A4 160gsm tinted card for a range of applications including copier, laser copier, laser printer, laser fax and inkjet printers. Orange. 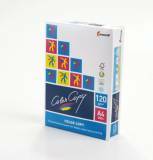 Color Copy A4 Paper 160gsm White (Pack of 250) CCW0324 Pack of 1 Color Copy Paper. Ideally suited for colour copying, colour laser and digital printing, ensuring true colour copies, laser printouts and optimum results from desktop publishing every time. Size: A4. Weight - 160gsm. Colour - White. Adagio Intense Deep Blue A4 Coloured Card 160gsm (Pack of 250) 201.122 Pack of 1 A wide colour choice in A4 160gsm tinted card for a range of applications including copier, laser copier, laser printer, laser fax and inkjet printers. Deep Blue. Color Copy A4 Paper 200gsm White (Pack of 250) CCW0325 Pack of 1 Color Copy Colour Laser Paper. A superior smooth white paper designed specifically for use on colour laser printers and copiers. Ideal for report covers and business cards. 200gsm. Size: A4. Adagio Intense Red A4 Coloured Card 160gsm (Pack of 250) 201.1226 Pack of 1 A wide colour choice in A4 160gsm tinted card for a range of applications including copier, laser copier, laser printer, laser fax and inkjet printers. Red. Adagio Bright Green A4 Coloured Card 160gsm (Pack of 250) 201.1212 Pack of 1 A wide colour choice in A4 160gsm tinted card for a range of applications including copier, laser copier, laser printer, laser fax and inkjet printers. Bright Green. 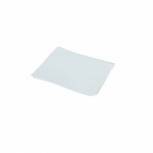 A4 Index Card 170gsm White (Pack of 200) 750600 Pack of 1 White index card. Perfect for home and office. Ideal for use as dividers and guide cards. A4. 170gsm. 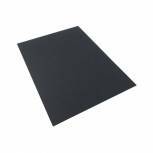 Office A4 Card 210gsm Black (Pack of 20) KHR121011 Pack of 1 Economical card for office use. Quality 210gsm card. Pure black surface suitable for a wide range of uses. Ideal for posters and signs. A4. Supplied in a pack of 20. 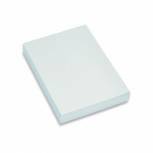 Office A3 Card 205gsm White (Pack of 20) KHR121014 Pack of 1 Economical card for office use. Quality 205gsm card. Pure white surface suitable for a wide range of uses. Ideal for posters and signs. A3. Supplied in a pack of 20. Card A4 Deep Green 200Mic 250 Sheets Pack of 1 A wide colour choice in A4 160gsm tinted card for a range of applications including copier, laser copier, laser printer, laser fax and inkjet printers.